When Mexican superstar Canelo Alvarez joined the DAZN streaming network for a record-breaking 11-fight, $365 million deal in October, many were quick to pronounce boxing dead in regards to television and pay-per-view markets. Golden Boy Promotions CEO Oscar De La Hoya, Alvarez's promoter, has even joined in. Pay-per-view is not dead. There are still pay-per-views being made, so it is not dead -- yet. However, the future of pay-per-view is at risk. Secondary welterweight world titleholder Manny Pacquiao fights Adrien Broner on Saturday at MGM Grand in Las Vegas on Showtime pay-per-view. Now, ask yourself this question. Will the result of Pacquiao-Broner go a long way in deciding the future of the welterweight division? Probably not. Pacquiao is 40 years old and has a couple of fights left and well, Broner wasted his prime being Broner. For a fight that does not mean much to the division, $74.99 is certainly very overpriced. The same can be said about a pair of upcoming 147-pound world title bouts. Errol Spence will defend his IBF strap against Mikey Garcia on March 16 at AT&T Stadium in Dallas, Texas. And, WBO titlist Terence Crawford will face Amir Khan on April 20 at Madison Square Garden in New York City. Canelo-Jacobs is a fight between two of the three top middleweights, and costs just $10 compared to (let's say) $225 for three fights that will not have a meaningful impact in the welterweight division. Before signing with DAZN, Canelo's most recent bout, a narrow decision win over Gennady Golovkin to win the unified middleweight title in September, was $85 to watch on HBO pay-per-view. 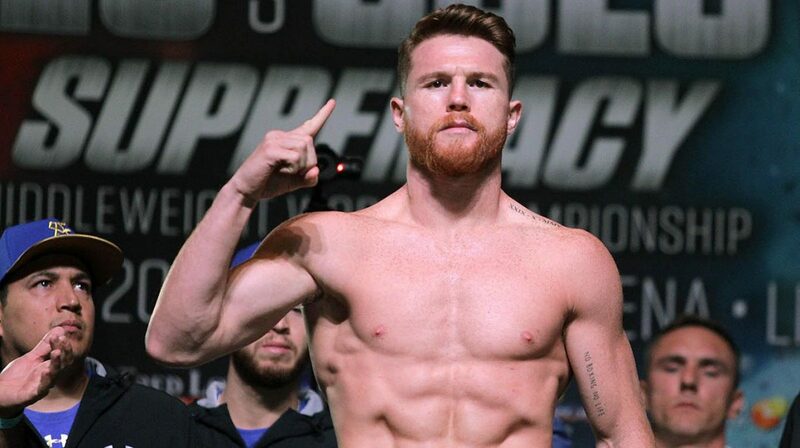 Alvarez normally fights twice a year, so that would be approximately $170 a year fans had to spend to watch just one fighter. That is expensive. But the difference between Canelo and Pacquiao, in this case, is an obvious one. Alvarez remains a hot ticket and fans are willing to pay a lot of money to see him fight whether it be at the arena or on pay-per-view. Canelo has averaged 1.1 million pay-view-buys per fight since 2017, while Pacquiao has garnered around 366,000 buys since 2014, not including the much-hyped 2015 bout with Mayweather. Canelo's pay-per-view sales were 200% higher than Pacquiao's, but fans will have to pay $65 more to watch Pacquiao on pay-per-view. The math does not add up. That is like the Cleveland Browns charging more than the Philadelphia Eagles for box seats despite the Eagles winning the 2018 Super Bowl. If pay-per-view prices are not reduced to a reasonable and sustainable rate, pay-per-view will surely die, and DAZN and ESPN will have won the battle.